LUNCH STUDIO: Bombay Sandwich Co.
Those of you who follow our lunching adventures will know we don't shy away from any type of food, though I have to admit a personal preference for meaty dishes. 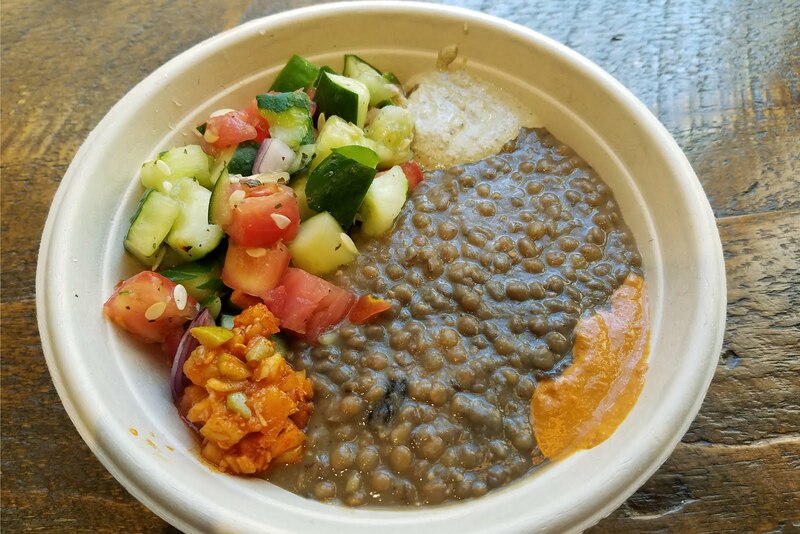 Until, that is, we discovered the lentil bowl at Bombay Sandwich Co. Even for a habitual meat eater like myself, the lentil bowl is utterly satisfying. The saltiness of the lentils cooked slow and soft over brown rice and complemented with a tart cucumber tomato salad with an apple garlic pickle is just lovely. One of our favorite lunches.